Immerse yourself in the music with a one-of-kind rhythm-action experience built around PS VR. Beat Saber is a unique, fast-paced VR experience combining breathtaking neon visuals, specially-crafted electronic music and finely-tuned action gameplay. With one saber in each hand (you'll need a pair of PlayStation Move controllers) slash the beats as they fly towards you, matching the direction and colour marked on them to rack up points and keep the music moving. As the tempo increases, you'll have to move your whole body to avoid incoming obstacles, side-stepping and ducking, all while keeping to the rhythm and slashing the beats. Easy to pick up and fun to master, Beat Saber is an experience like nothing else. Immerse yourself in the smoothest combination of music, beats and visual effects in a truly unique gameplay experience. Master music tracks and levels handcrafted to emphasise and compliment the kinetic VR gameplay. Learn rapidily with intuitive, pick-up-and-play controls that are easy to grasp and fun to master. Rise through the global leaderboards and compete against other players around the world. Get moving - Beat Saber engages your whole body, making it great exercise! 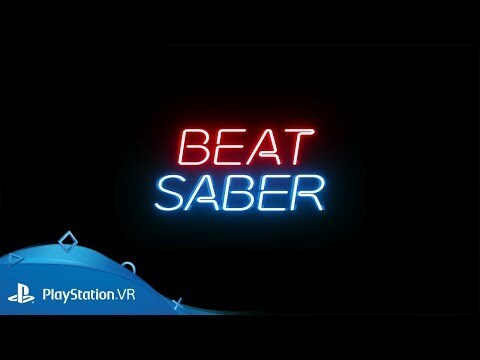 See you first footage of Beat Sabre - coming soon to PlayStation VR. 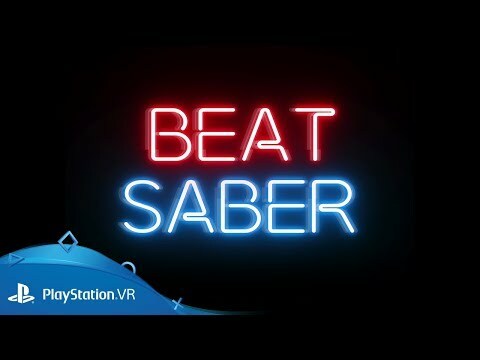 We confirm the November release date for Beat Saber on PlayStation VR. 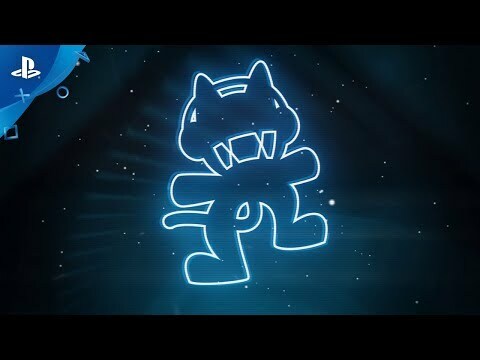 Slash your way through 10 pulsing tracks picked exclusively for you by Canadian music label Monstercat and enjoy a fresh dose of electronic dance beats in the first DLC update! Place yourself at the centre of over 200 incredible games and unforgettable virtual-reality experiences. With PlayStation VR, you're ready to truly live the game.